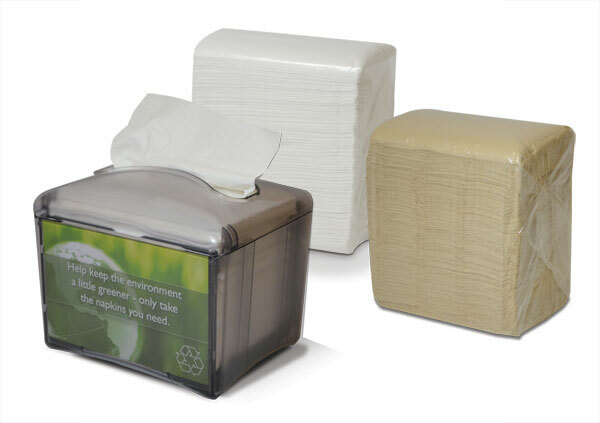 One napkin-at-a-time dispensing provides up to a 50% reduction in napkin usage. Its one-at-a-time napkin dispensing design ensures that patrons use fewer	napkins and touch only the napkin they use, thus improving personal	hygiene. Plus, one-at-a-time dispensing helps decrease consumption, so you will	reduce the number of cases you need to store. Independent research has proven napkin usage is reduced 50% or more	versus usage of smaller tall fold styles & by 30% versus usage of larger	standard styles.